A big double package has arrived at Scotland today. Two Giant Pandas arrived at Britain, after 17 years in which no Panda has resided in the UK. The following article narrates this tale, but doesn't emphasize the big cost of the Pandas: Almost a million dollar per one year. The Pandas haven't been purchased permanently and will be returned to China in ten years. 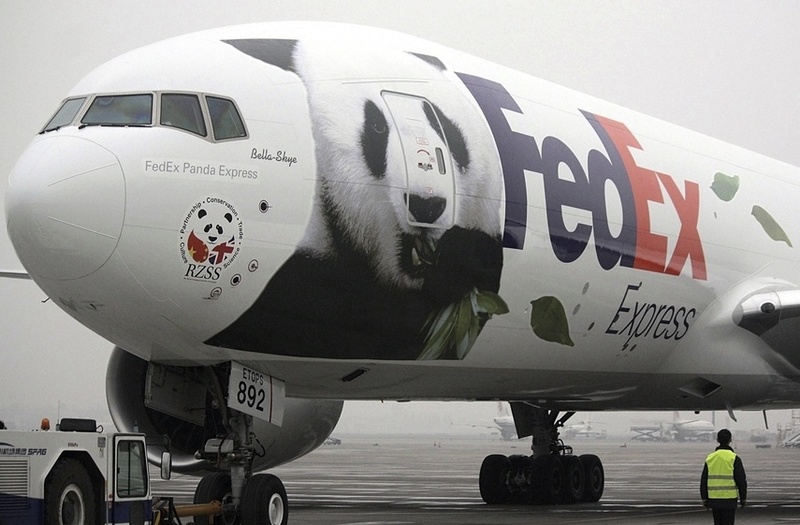 December 4, Edinburgh, Britain; The two Chinese Giant Pandas Tian Tian (sweet sweet) and Yang Guang (sunlight) have 'traveled' the 'Panda express' airplane, arriving at the UK, 17 years after the last time Giant Pandas had landed in Britain. The two Giant Pandas have comfortably landed in Scotland's capital Edinburgh. The two Pandas known as Tian Tian and Yang Guang have moved into the Edinburgh Zoo, with the cost of 250,000 GBP (approximately 2,500,000 RMB). A new Panda 'building' was constructed for them. After two weeks of adaptations they will meet the public on December 16. Edinburgh Zoo representatives have said that visitors already express great excitement for the arrival of the Pandas. After it was confirmed that the Pandas are arriving, almost 1500 entrance tickets were sold in less than 24 hours. Female Panda Tian Tian and male Panda Yang Guang were both born in 2003. Coming from China Conservation and Research Center for the Giant Panda in Bi Feng Xia, Sichuan, they shall live 10 years in their new home at the Edinburgh Zoo. Edinburgh Zoo experts hope that the Pandas will succeed in mating and giving birth to baby Pandas, compensating for the disappointment, as the last Pandas to arrive at Britain didn't manage to reproduce.